I am really sad to hear that boxing legend, Muhammad Ali, has died last night at a hospital in Phoenix. Ali was and still is the definition of a champion. 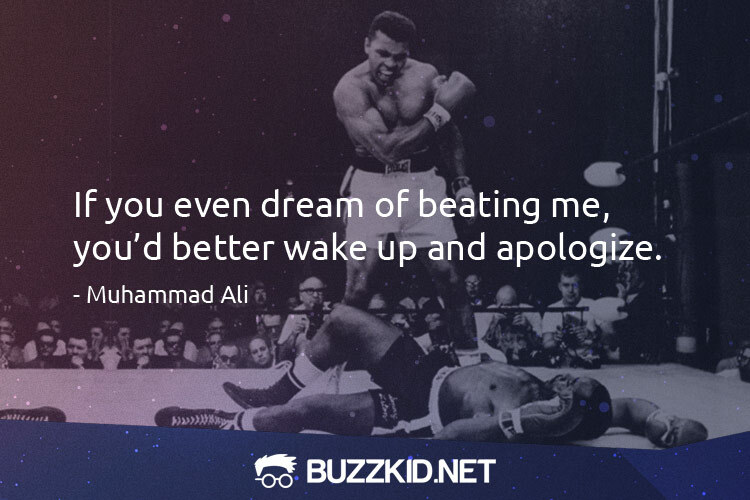 Not only he was one of the most famous boxers of all time, Ali was a great poet also. He loved writing short poems, and inspirational quotes. To honor this great champion, I bring you some of his best quotes. 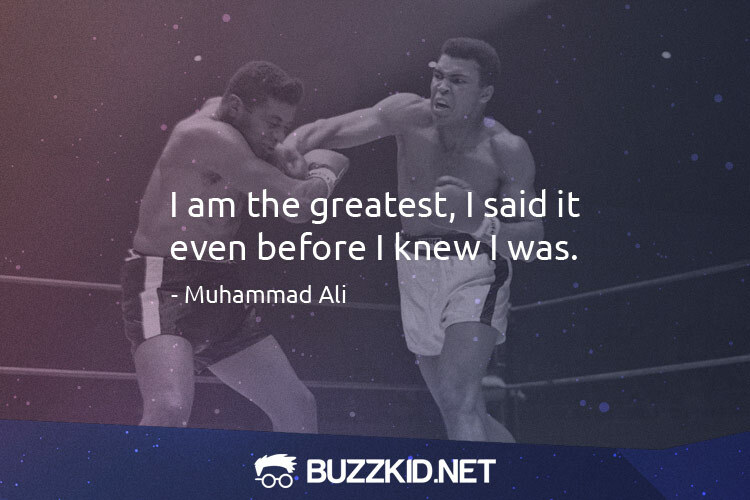 I am the greatest, I said it even before I knew I was. Silence is golden when you cana��t think of a good answer. Ita��s just a job. Grass grows, birds fly, waves pound the sand. I beat people up. If my mind can conceive it, and my heart can believe it a�� then I can achieve it. Friendship is not something you learn in school. But if you havena��t learned the meaning of friendship, you havena��t learned anything. I know where Ia��m going and I know the truth, and I dona��t have to be what you want me to be. Ia��m free to be what I want. If you even dream of beating me, youa��d better wake up and apologize. At home I am a nice guy: but I dona��t want the world to know. Humble people, Ia��ve found, dona��t get very far. I done wrestled with an alligator, I done tussled with a whale; handcuffed lightning, thrown thunder in jail; only last week, I murdered a rock, injured a stone, hospitalized a brick; Ia��m so mean I make medicine sick. Boxing is a lot of white men watching two black men beat up each other.